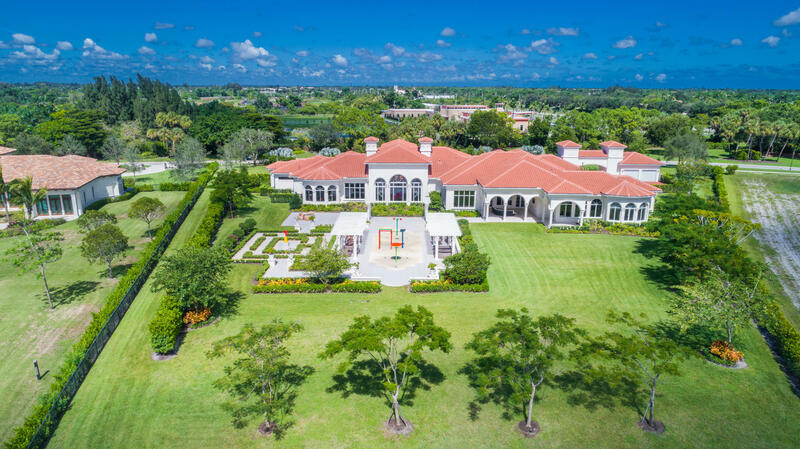 Gemini, a 15-acre ocean-to-lake estate, stands alone in all of the Palm Beaches for its beauty, privacy, amenities and sheer scale. 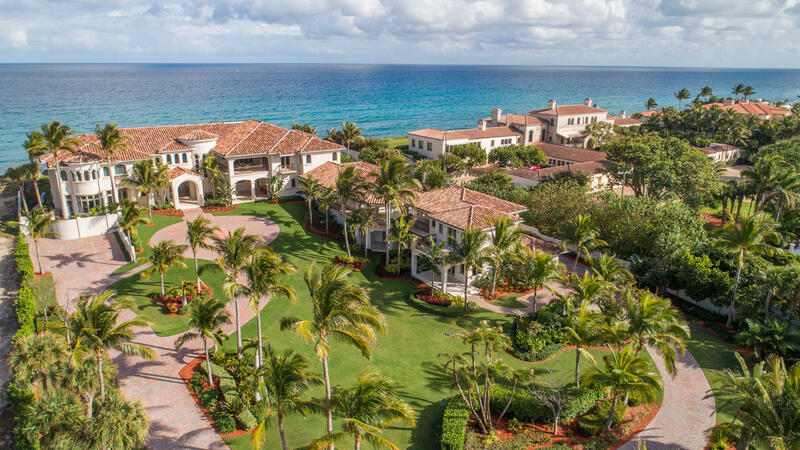 Offering a remarkable combination of 1,200 +/- feet of dune-lined beach on the Atlantic with 1,300 +/- feet of frontage on Lake Worth, Gemini is unrivaled among South Florida's most significant waterfront properties. 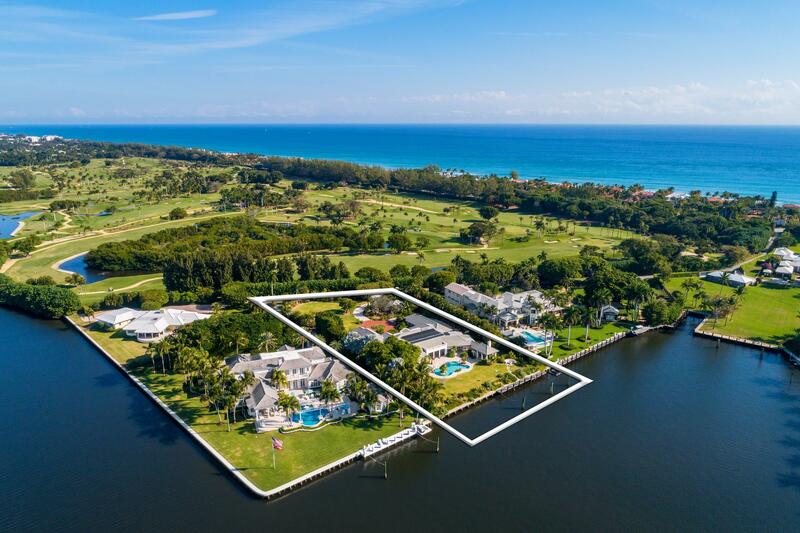 New Ocean-to-Intracoastal compound in the prized Estate Section is sublime and serene on 200+/- feet of beachfront and 200+/- feet on the waterway with dock. This seaside masterpiece brings the ideals of modern luxury to the classic Gold Coast tradition. Grand entertaining with a soaring great room, multiple wet bars, club room, wine room, poolside ocean loggias. Priced below market value! 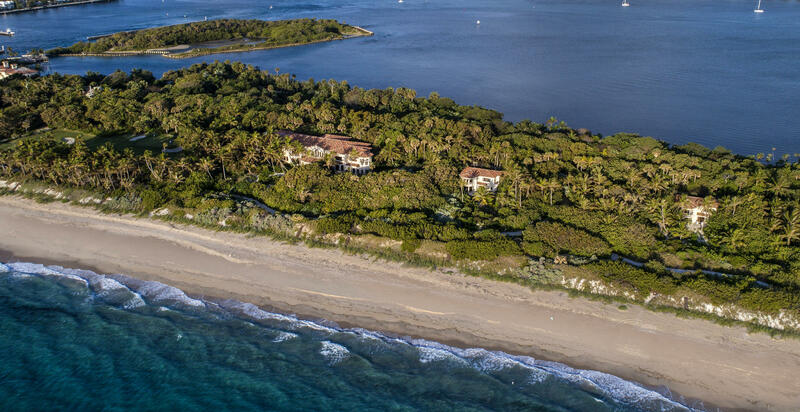 2+ acre Ocean to Intracoastal Estate - your own Private Resort. 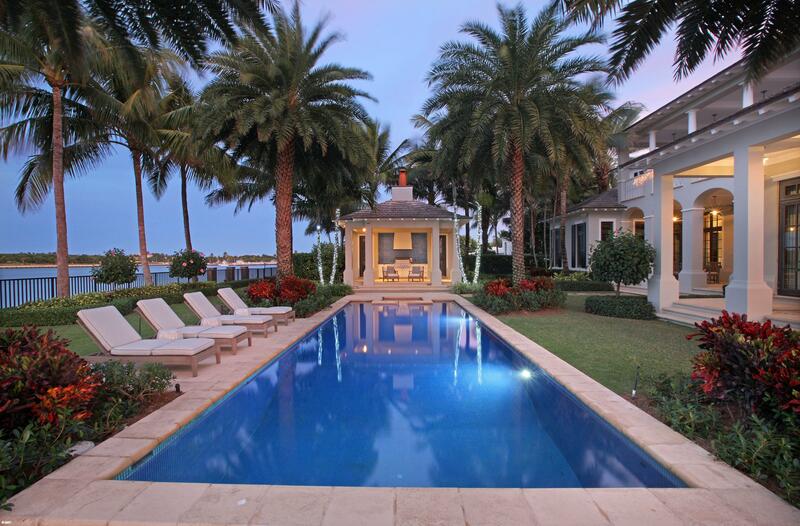 Spectacular Ocean to Intracoastal Estate on 1.7 acres with 160 feet of Ocean frontage. Palatial Iron Doors open to a sweeping staircase and atrium with court yard fountain. Entertain in the grand oceanfront great room featuring dramatic volume pecky cypress ceilings, a 25 foot illuminated onyx wet bar and wood burning fireplace. Rare opportunity in Manalapan. Just shy of 4 acres that run from the ocean to the Intracoastal. 8BR/8 full & 2 half BA under 12,000SF with breathtaking views, home theater, fitness & game rooms, offices and staff quarters. Brand new roof installed in November 2018! Expansive eat-in kitchen has top-of-the-line appliances, bar & cook island. The Sundara Estate is an impeccable new contemporary masterpiece recognized as one of the finest properties in the United States. 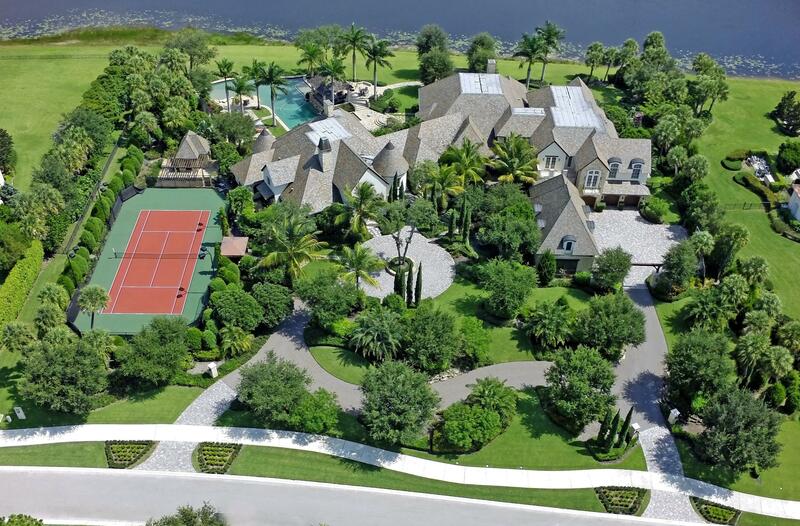 This custom mansion offers world-class design and lifestyle of unrivaled amenities, privacy and security. It is situated behind private gates of Stone Creek Ranch, one of the most exclusive and sought-after communities in Palm Beach County. 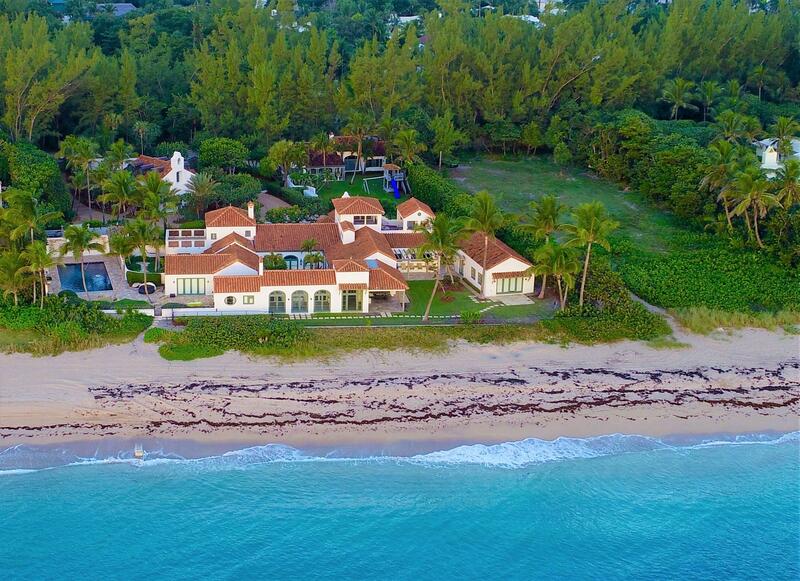 One of Gulf Streams most significant oceanfront estates sited on 200+/-' of pristine pink coral sand, 2817 N Ocean Blvd Gulf Stream, Fl, is a significant oceanfront compound with sweeping views along the Atlantic Ocean offering a rare opportunity for a buyer or investor to own a sliver of paradise. Inspired by the glorious chateaus of France, this luxurious 21,234 square foot oceanfront estate is sited on a generous 1.26 acre lot. This private estate is a masterpiece of design/ craftsmanship and features French limestone. Media Room, Game Room, Exercise Room, Wine Cellar, Executive Office and Library. 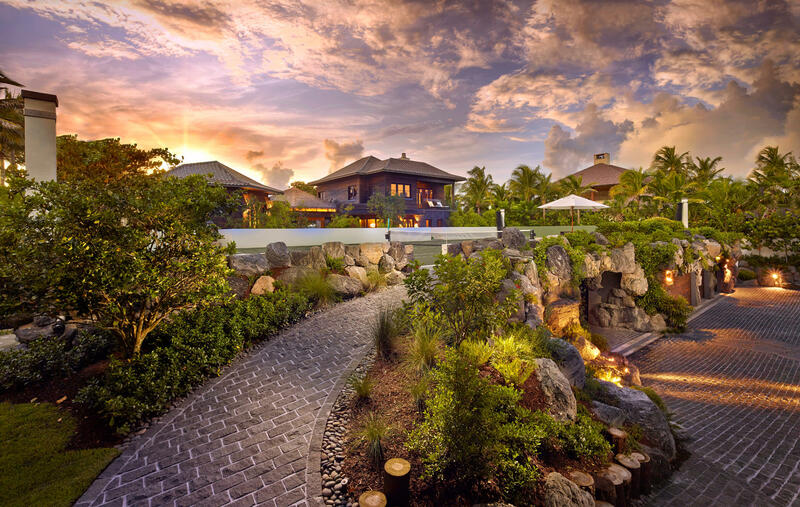 The 134' wide lot allows for commanding and captivating views of the Atlantic Ocean. 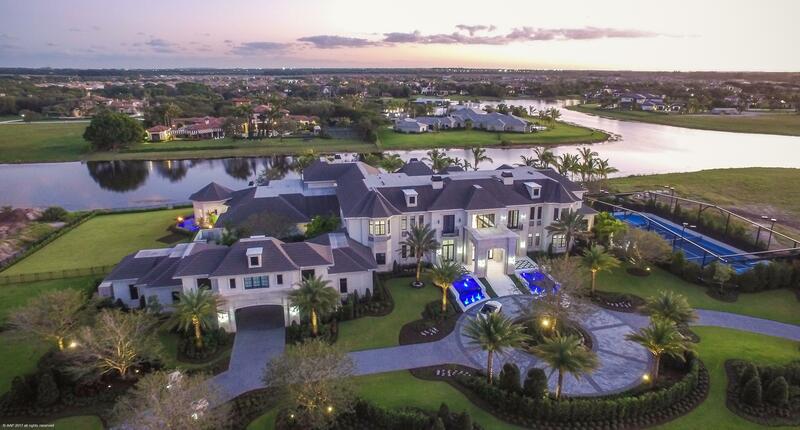 Behind the private gates of this Modern Mediterranean masterpiece you will find a remarkable estate that mimics the feel of a ''Bel Air'' estate as it is perched above the Intracoastal waterway and Atlantic Ocean. Floor to ceiling windows and gorgeous French doors provide panoramic Ocean to Intracoastal views and accent the dramatic and spacious open floor plan allowing the outdoors in. Gorgeous Ocean-to-Lake 8BR/9.1BA estate with commanding water views. Home is perfect for entertaining with formal foyer leading to reception room, dining room, formal living room with fireplace, and oversized family room with marble bar. Covered loggia and terrace with fireplace open to 40 foot swimming pool, summer kitchen, and BBQ, all overlooking the Intracoastal and private dock. 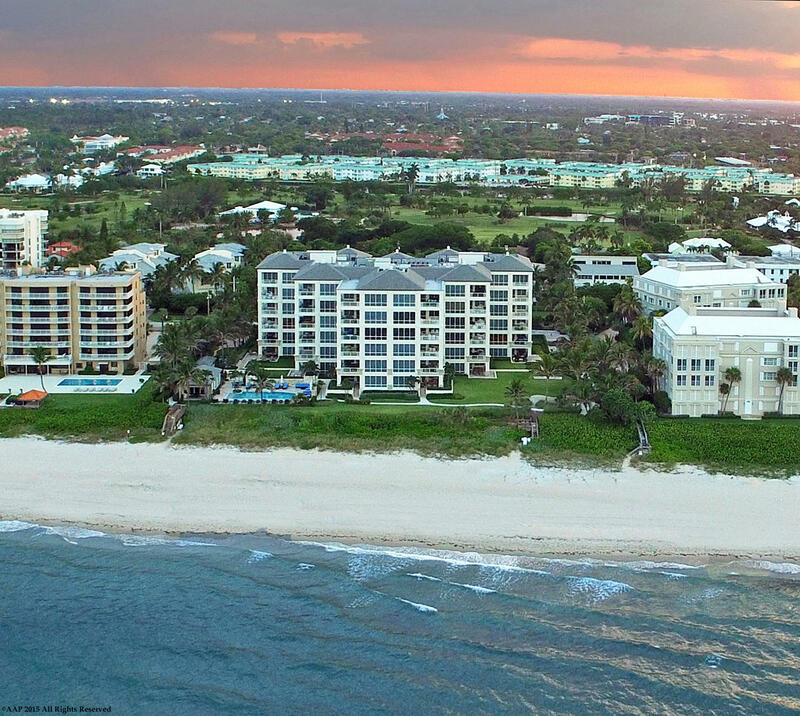 8000 Sq/ft living space sprawls across beautifully landscaped Beach Front Mansion. Very private beach with pool & cabana offer the best in tranquility. Imagine watching some of the most beautiful sunrises daily. Two story custom construction offering the best views and privacy. Each room thoughtfully designed with absolute attention to even the finest detail. 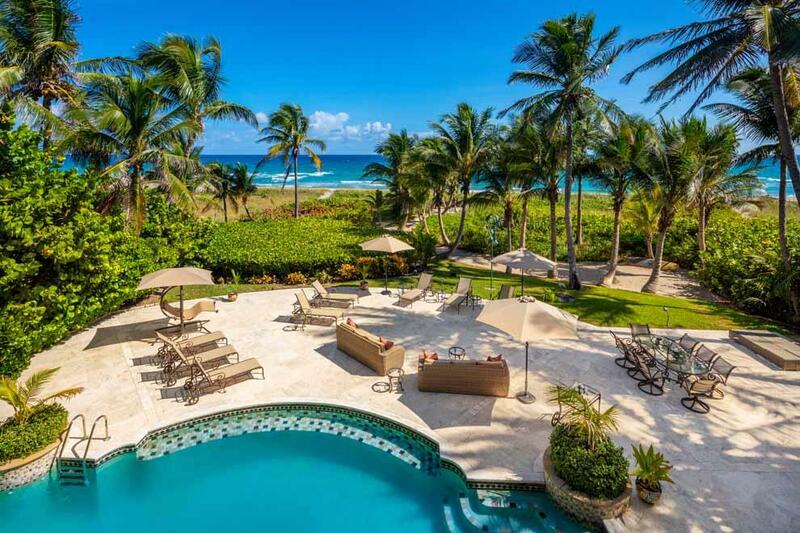 The oceanfront estate at 719 North Ocean Boulevard in Delray Beach offers 100 feet of direct oceanfrontage in a private compound setting situated on .42 acres. With finely appointed finishes and over 8,500 total square feet, the five bedroom residence provides a luxurious setting for enjoying endless ocean vistas. 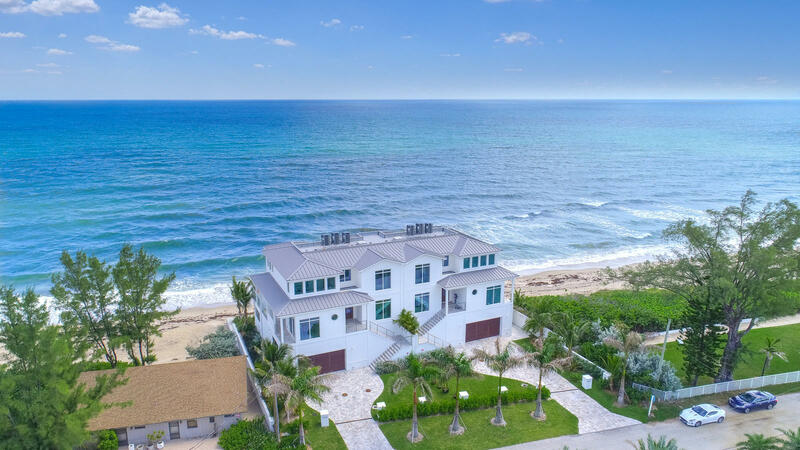 Property has been zoned and has both full site plans and architectural approval by the city of Delray Beach.With a commanding view of the deep blue waters of the Atlantic, this five bedroom five plus bath beachfront home leaves little to the imagination. Designed by Richard Jones, spacious balconies' and floor-to-ceiling windows provide ample natural light and unobstructed ocean views. 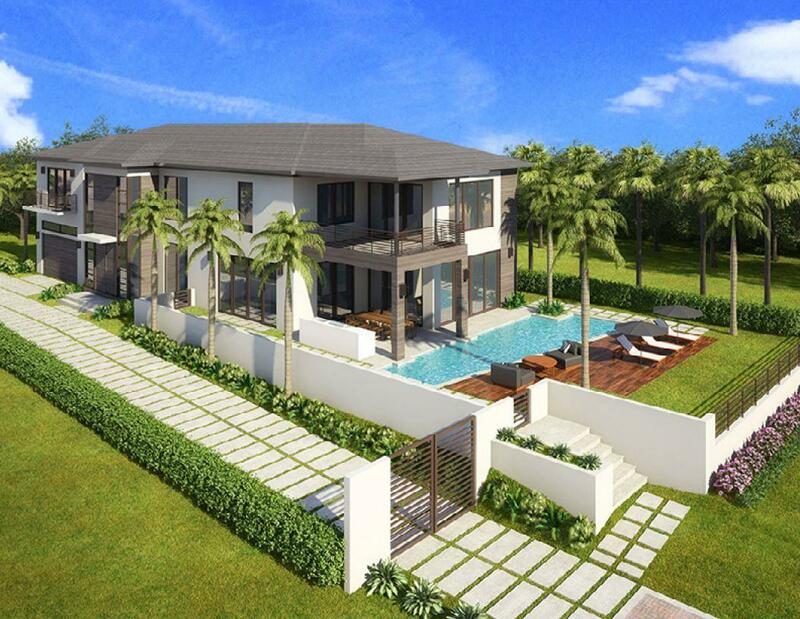 Property has been zoned and has both full site plans and architectural approval by the city of Delray Beach.Rare opportunity to purchase an iconic two story contemporary ocean estate during the pre-construction phase. Innovative in design and flawless in execution, this elegant waterfront estate features 7,099TSf, 5BR, 5.1BA, club room, master sitting room and loft. 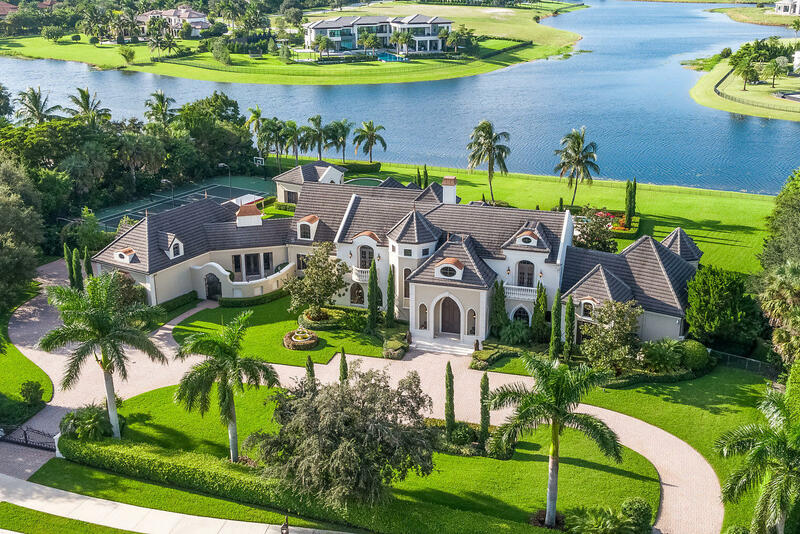 Reminiscent of the Grand Villas in the Hills of Tuscany, this estate commands an expansive Point Manalapan Intracoastal setting. The main house and guest/carriage house embrace a romantic gated motor court entry that is walled and gated for optimal security. The palatial 16,035 total sq. ft. estate affords the discerning buyer privacy and seclusion in a grand setting. 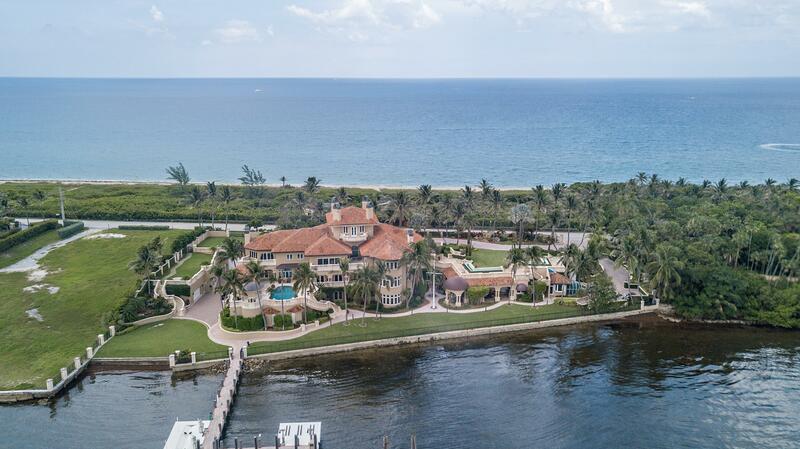 Situated on a cul-de-sac, this is truly one of the most incredible direct waterfront estates, 136 Island Drive, Ocean Ridge, embraces a double point lot with over 540' with water on three sides and only moments to the Boynton Inlet. 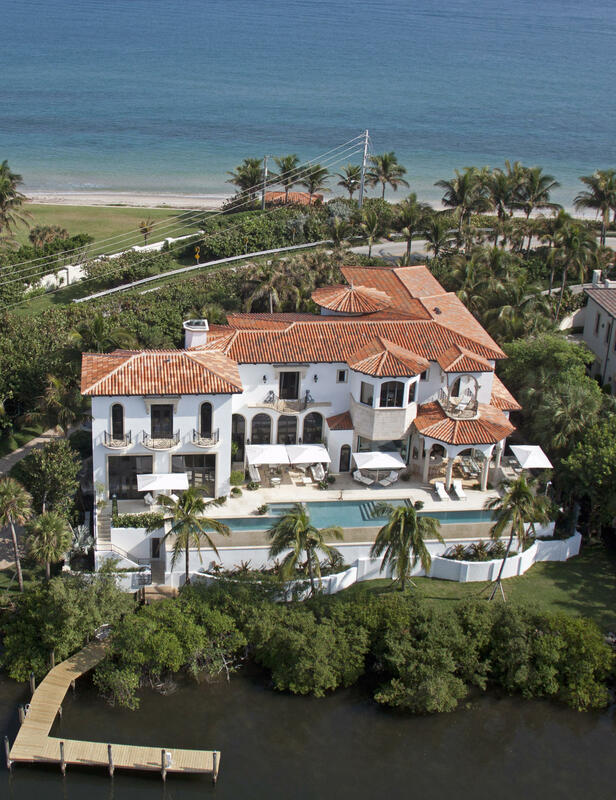 THE PROPERTY IS LOCATED DIRECTLY ON THE OCEAN IN THE TOWN OF OCEAN RIDGE. THIS UNIQUE LOCATION IS ON OLD OCEAN BLVD, WHICH IS A PEDESTRIAN STYLE STREET WITH FOOT TRAFFIC, JOGGERS AND CYCLISTS. THE VIEWS FROM EVERY FLOOR ARE OCEAN! OCEAN! OCEAN! FLOOR TO CEILING WINDOWS. THE QUALITY OF THIS UNIT IS UNSURPASSED. 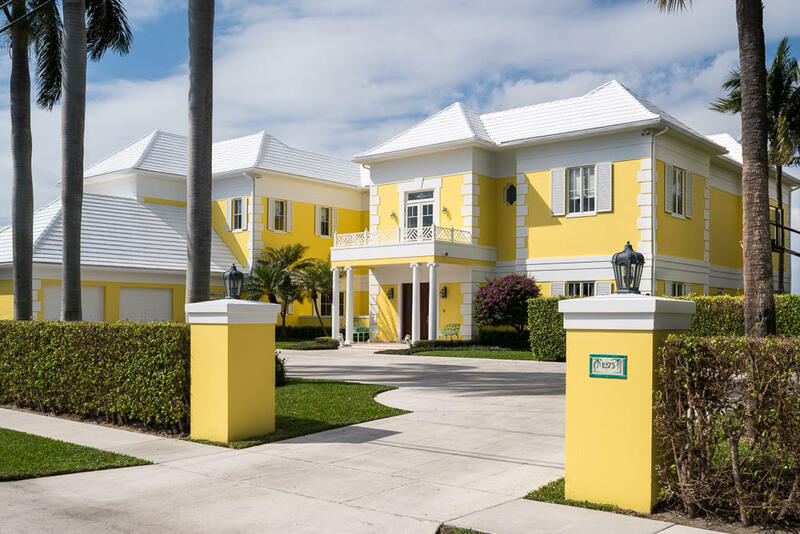 Sensational new Bermuda style home located in the estate section of Gulf Stream is sited on over 180' of water and offers deeded beach access. This residence represents a rare opportunity to acquire a custom home in one of the most desirable locations of Gulf Stream. Wake up as the sun rises over Manalapan's Riviera and enjoy the aroma of your expresso brewing in your Miele coffee maker or make tea and toast at the tea station. As your read your morning paper on the expansive back patio overlooking the lovely lakeside of the intracoastal the ocean breeze will caress your senses helping you set intentions for your day. 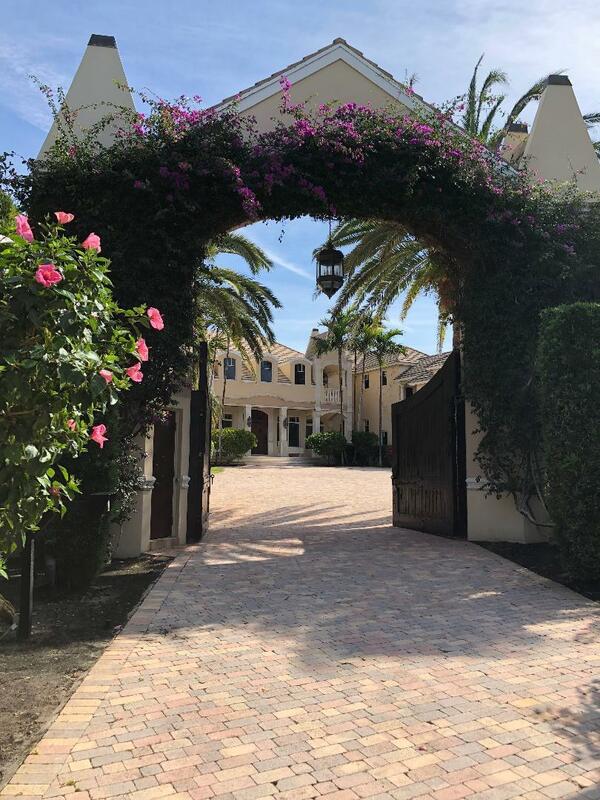 Casa del Encanto is a Delray Beach masterpiece, a luxury estate recognized as one of the finest properties on Florida's Intracoastal Waterway. 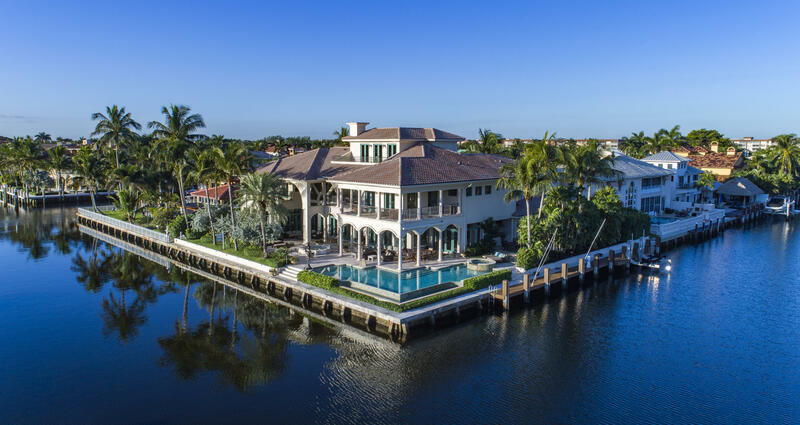 This sophisticated waterfront estate located in the heart of Delray Beach showcases world-class design, privacy, security, unsurpassed amenities and an elegant lifestyle. 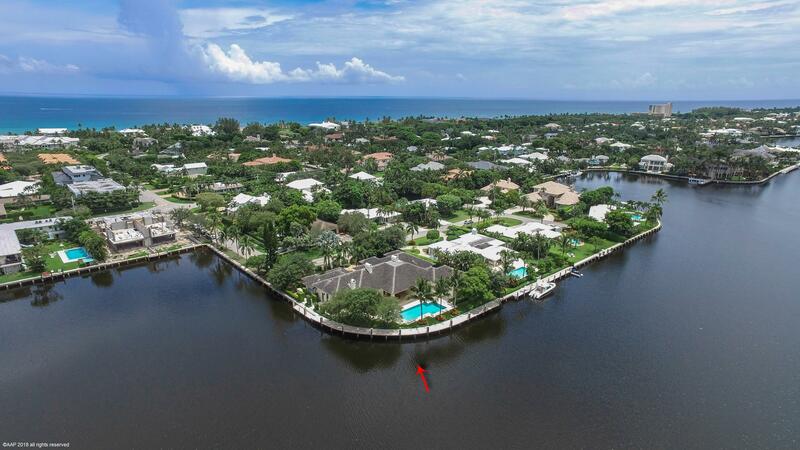 This Beautiful Custom Built One Story Gated Estate is situated on an Intracoastal Point Lot with over 253+/- of Waterfrontage in a desirable ''Slow Wake Zone.'' This is truly one of the Best lots in East Delray. The property is only Blocks to Atlantic Avenue and the Beach. Features Include an Open Concept Floorplan. 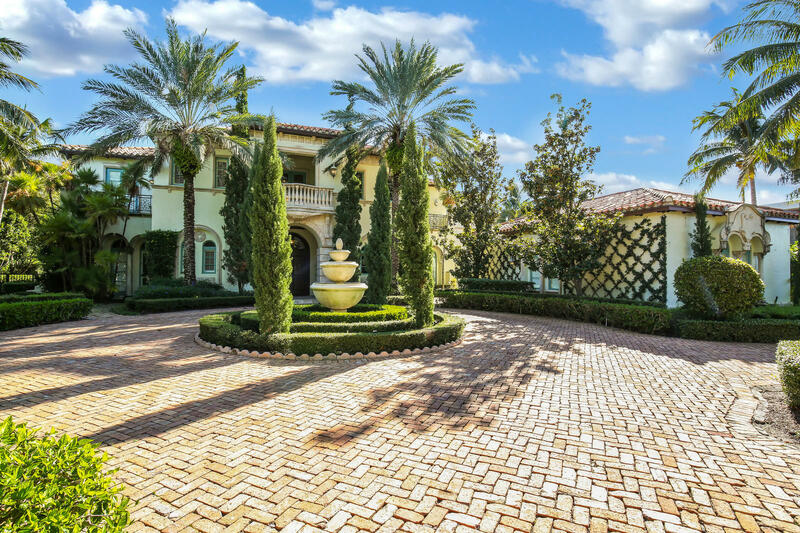 Located in a private, gated community, this Mediterranean-style estate features stunning long south waterfront views and custom details inside and out. Ideally situated on 2.5 acres, this contemporary masterpiece offers six bedrooms, including two expansive master suites, a grand marble foyer, and a 100-foot art gallery in the heart of the home. 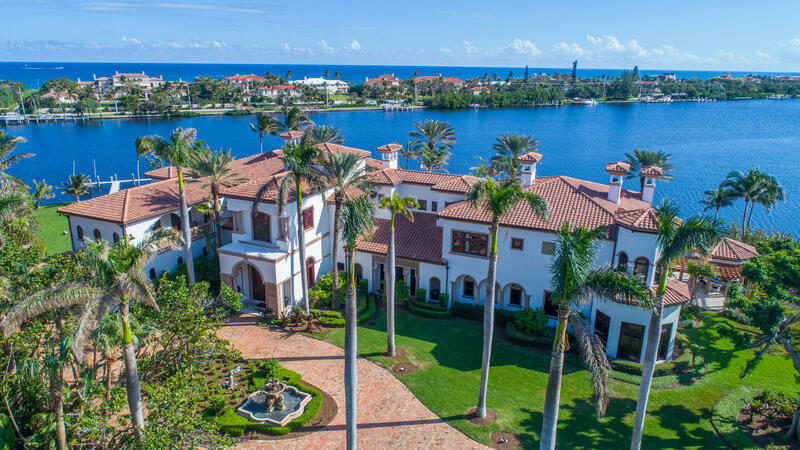 Prestigious Three Story Gated Intracoastal Point Lot Mega Mansion, 12,724 t sq ft, Smart Home, Lutron System, Crestron System, 272 Feet of Waterfrontage, a Yachtsmans Paradise. 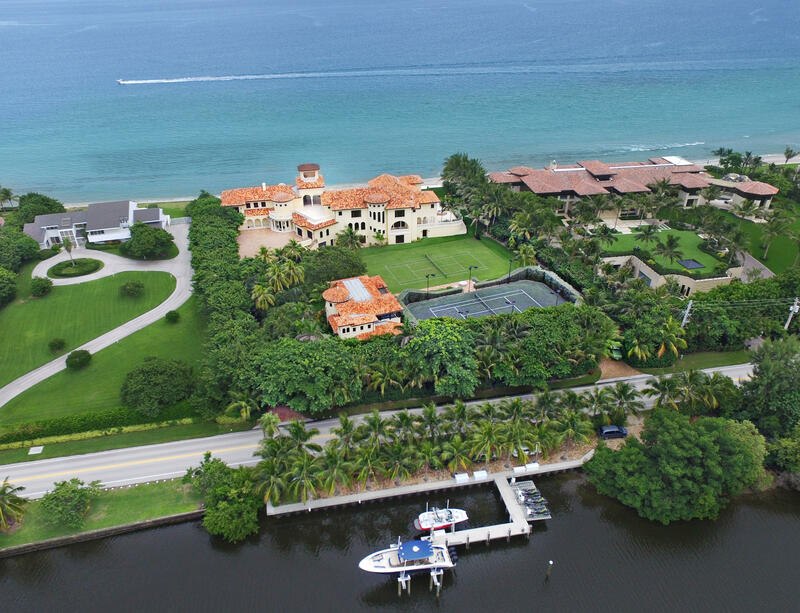 Enjoy Exclusive Waterfront Living on Secluded Point Manalapan!This spectacular 7,800 sq. 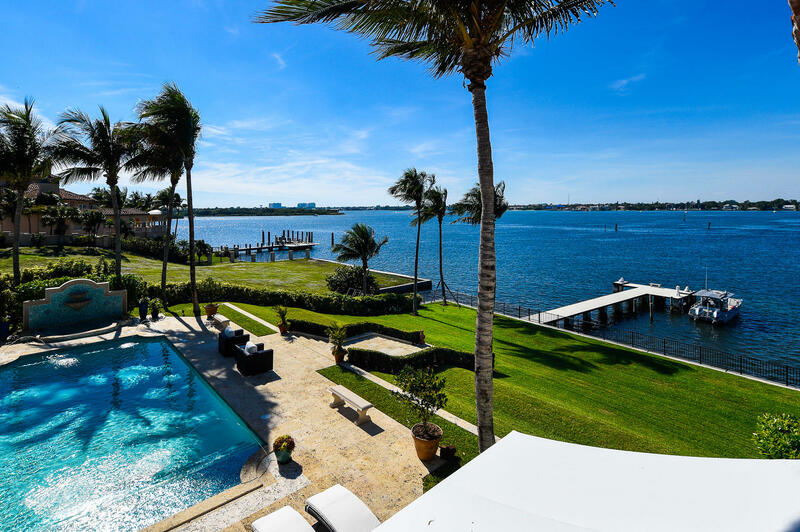 ft. 2 story, 6 bedroom, 7.5 baths home offers you the best of South Florida waterfront living. Located in a very exclusive area this home features sensational sunsets and incredible views across your waterfront dock and new seawall located in the wide section of the Intracoastal Waterway. ** $1 MILLION PRICE REDUCTION ** Stone Creek Ranch, one of South Florida's grandest and most exclusive gated estate enclaves. 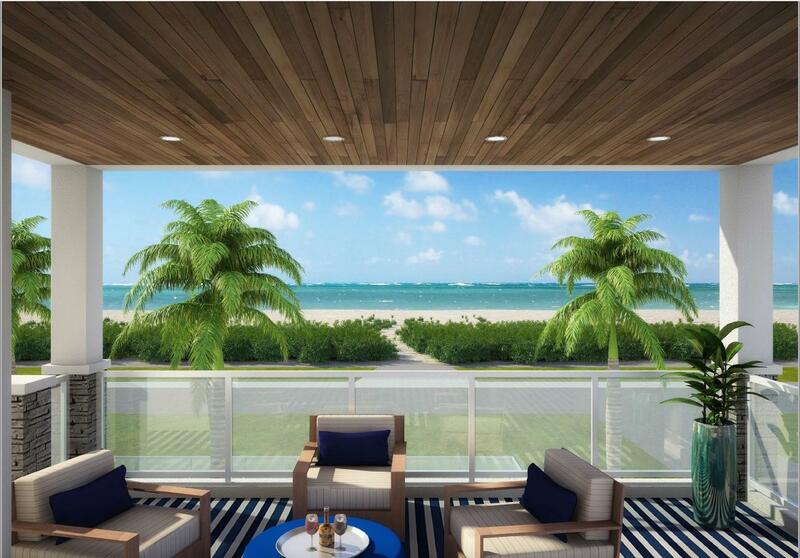 Go beyond your expectations as you arrive at 4001 North Ocean Blvd, Gulf Stream's newest oceanfront building. Sited on the penthouse level of this iconic building the creative architecture of this oceanfront penthouse sets a new standard of luxury living offering a spacious 4,898 square feet. Fresh and clean in design, the residence offers bright, airy and unrivaled panoramic views of the ocean. Tired of the cookie-cutter contemporary homes ubiquitous to today's housing market? Magnificent Chateau Ami will steal your heart with its exquisite artisan details, European flair & craftsmanship. Inspired by the splendid chateaus of France, this lavish estate is a rare luxury retreat melding timeless architecture w/the finest 21st century comforts, conveniences & technologies.